Police have arrested two people on suspicion of kidnap and assault after concerns were raised for the welfare of a man from Hastings. 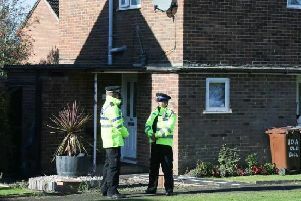 Officers went to an address in Linton Crescent, Hastings, on Saturday (November 3) at approximately 6pm, police said. A police spokesman said concerns had been raised for the welfare of a local man who does not live at the address. The property was unoccupied at the time and nobody was arrested at the address, police said. However, on Tuesday (November 6), a police spokesman added: “A 28-year-old local man was traced on the same day and was treated for head and leg injuries. “A 24-year-old man and a 23-year-old woman were arrested on suspicion of kidnap and assault. The spokesman said police have remained at the property while enquiries are ongoing. After reports of armed police in Linton Crescent, Hastings, and a police helicopter circling overhead on Saturday evening, the Hastings Observer approached Sussex Police for a comment. At around 7pm, a spokesman for Sussex Police said they ‘could not confirm anything at this time’, but added that members of the public were not at risk.